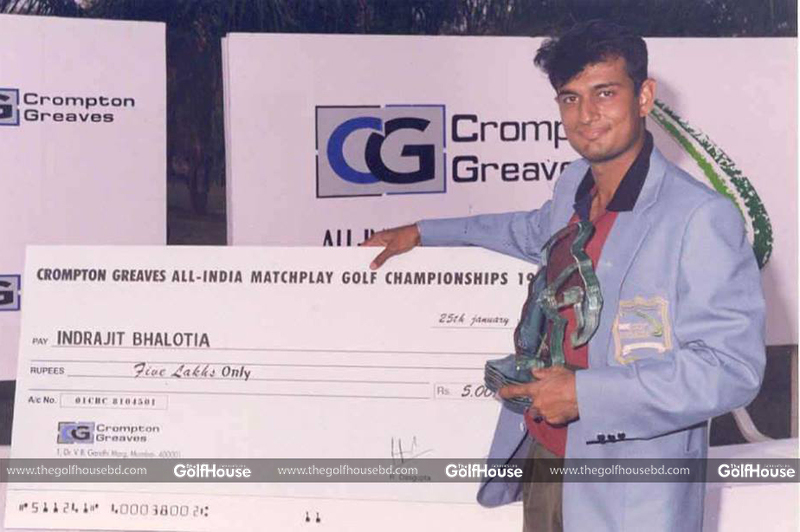 Indrajit Bhalotia was one of the leading golfers in India 20 years ago. 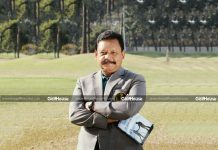 A contemporary of Jyoti Randhawa and Arjun Atwal, he used to have great competition with his fellow golfers during a time when Indian golf was just making its presence felt at the Asian scene. 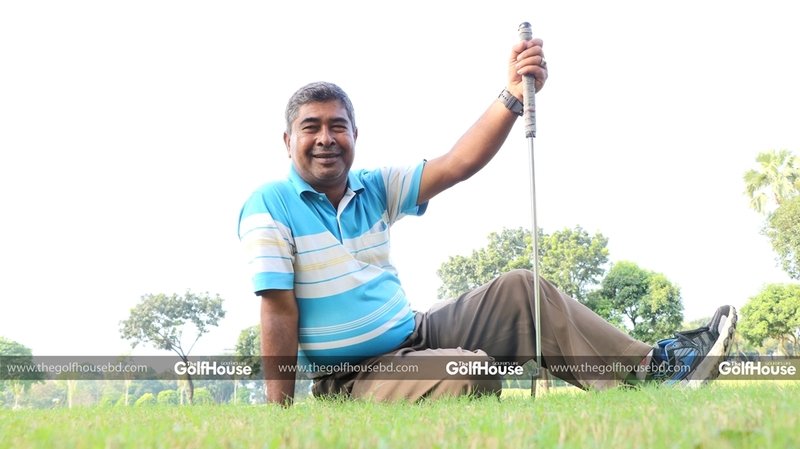 The Kolkata-native won five tournaments on the Indian circuit, but a road accident transformed his career and set him on a path of golf teaching. Now he produces some of the best golfers from India. He takes a lot of pride in his students’ achievements. 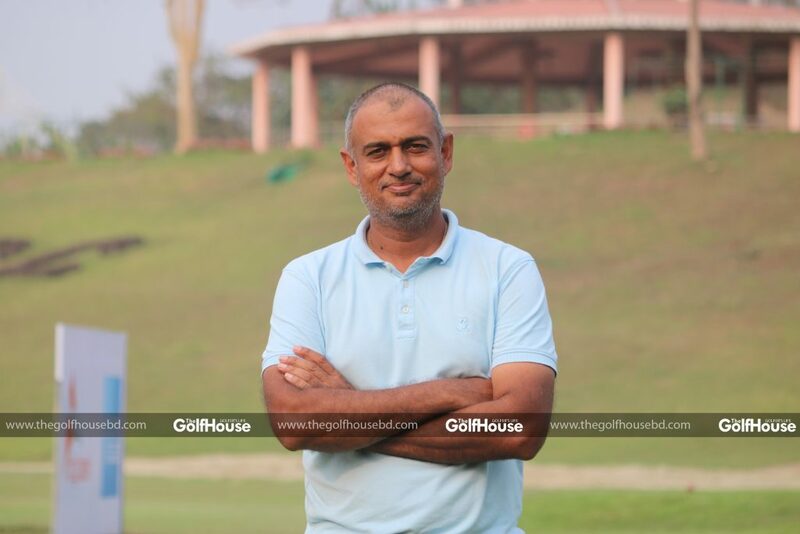 Recently Bhalotia hasbeen in Chittagong for the Chittagong Open where TheGolfHouse caught up with him to learn about his golfing achievements as a player and a coach. 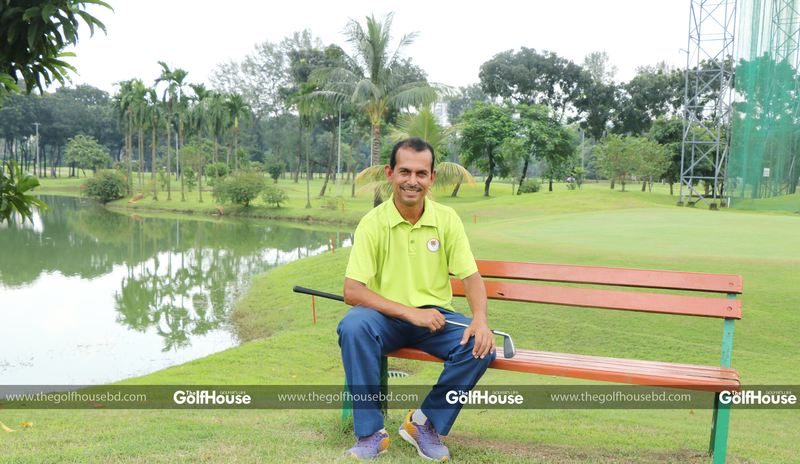 Indrajit Bhalotia was one of the leading golfers in India 20 years ago. Q: How did you get involved with golf? A: I started when I was around four years old. My father used to play the game and I used to go with him. When I was around 8/9 years old, I played a tournament and won it. That is when I began to play seriously. Q: Tell us a bit more about that period of your introduction to golf? A: I was a bit introvert and didn’t have too many friends. So golf suited me because it’s a game where you can play on your own. The first few tournaments that I played, I won, so I thought it was quite an easy game and I grew my interest in it. Q: You were India’s top golfer once upon a time. How was your feeling being on top? A: I played on the Asian Tour for almost 14 years and I’ve been playing on the Indian Tour for about 28/29 years. When I was on top, I focused more on fitness and mental toughness. I went to USA for this. My career took an upward shift during 1997-98 and I was inside the top three. I was in competition with Jeev Milkha Singh, Jyoti Randhawa, Arjun Atwal and won against them. My approach was overall improvement of my game. Q: Share with us your achievement as a pro. A: I won five professional tournaments, first of which was in Chennai where the top players played. Then I won in Nepal. Then I won three more tournaments in India. I have 5/6 course records, too, including a few low rounds like 62/63. 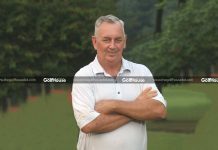 Q: Right now you are one of the best golf coaches in South Asia. Who inspired you to come to teaching? A: I joined teaching in 2001-02 after I injured my knee following a road accident. I had to take seven months off for that. The seniors at Kolkata golf circle suggested me to join coaching. So once I joined, I liked it. Then a couple of my students won tournaments and they did not let me give up coaching. 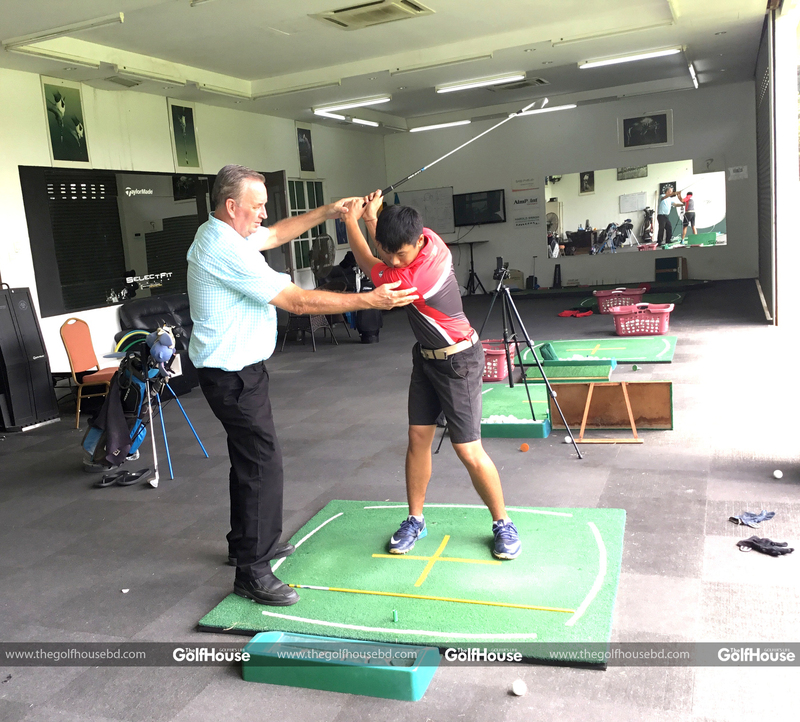 When National Golf Academy was established in 2005, I was chosen as one of five coaches who were sent abroad to learn and spread coaching in India and neighboring countries. Q: You said your students at the initial stage won a few tournaments. Who are your best students now? A; Viraj Madhappa, according to me, is the most promising youngster. He has been with me since very early. I have trained five national juniors in the last seven years. I have worked as national team coach where I had Gaganjeet Bhullar, Ajeetesh Sandhu as my students. A: I don’t follow any particular philosophy. Every golfer has his individual style. I try to improve that style and bring fundamental correctness to their game which helps them perform better under pressure. My teaching concept is very simple and natural. Q: You are teaching kids at academies too. When did you turn to this? A: This started around 17 years ago. We’ve done junior programs in major cities of India. We have 26 teachers in our academies. We teach golf to toddlers as a fun sport. We teach coaches child psychology too. We are planning to take this thing to 20 schools in Kolkata. Q: Explain the importance of golf mentorship. A: Proper guidance makes it easier for a golfer to develop. A teacher does not necessarily turn an ordinary golfer into a great one, but he can definitely guide them by making corrections and showing them a way to prosper. If a teacher could turn someone into a great golfer, then there would have been 50 Nick Faldos coming out of Leadbetter Academies. The golfer has to have the talent and drive within himself. Q: Do you have a teaching guru? A: I never took formal training for teaching. My game is based on the style and method that Jack Nicklaus follows. I have read some of his books too. I researched a bit for coaching as well. Q: Who do you think are some of the best emerging players in the subcontinent? A: SSP Chawrasia is doing great, but he’s already an emerged star. Shubhankar Sharma is extremely special. Siddikur Rahman is a fantastic talent. There are a few other Indian players that have serious potential. There is tremendous talent in subcontinent, but they don’t get to shine due to lack of opportunities and sponsorship. Q: The earlier trend in the subcontinent was that most golfers used to come from caddies and ball boys. But the trend has shifted recently. A: I think the reason is the caddies and ball boys used to get ample time and opportunity to play at the courses. Now the courses have become so busy that their playing opportunities have shrunk. I think this shift in trend will continue. Q: How much time should a professional golfer devote practicing? A: Definitely eight hours a day at least. Plus he needs to do fitness, gym, yoga, diet and all. Social life is almost zero for professional golfers. Those who are distracted by other things will fizzle out in the end. Q: Your son has turned pro. What is your expectation from him? A: I didn’t push him to become a golfer at all because I know the life of a golfer is very tough. But he got interest in golf and he trains well. He has talent and he is training hard. Q: You have played many times in Bangladesh. 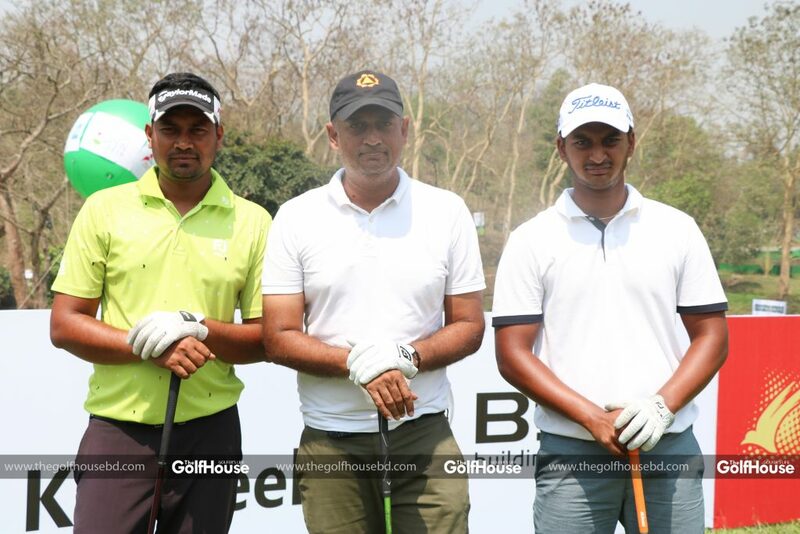 What is your take on Bangladesh golf? A: I have seen Bangladeshi players from the time of Chand Mia and Babu Ahmed to the ones of today. I must confess there is tremendous talent. Youngsters in Bangladesh drive pretty well and they are confident too. If you can develop the local circuit and arrange sponsorships, there is no reason you can’t have ten Siddikur Rahmans. Q: What should be the ideal way to teach kids? A: Teachers should be more motivative, because young kids need motivation most. Kids come to enjoy the game, not to learn the game. The teaching method should be made in a way that the kids enjoy the game. Q: Who are your favorite golfers and which ones are your favorite golf courses? A: Jack Nicklaus is my favorite golfer. Obviously the courses where I’ve won tournaments are my favorite. Q: What is your best memory in golf? A: There are quite a few. But the five tournaments I won are very very special memories. When my students win and when they acknowledge me I feel great. It feels like I am winning the tournaments.